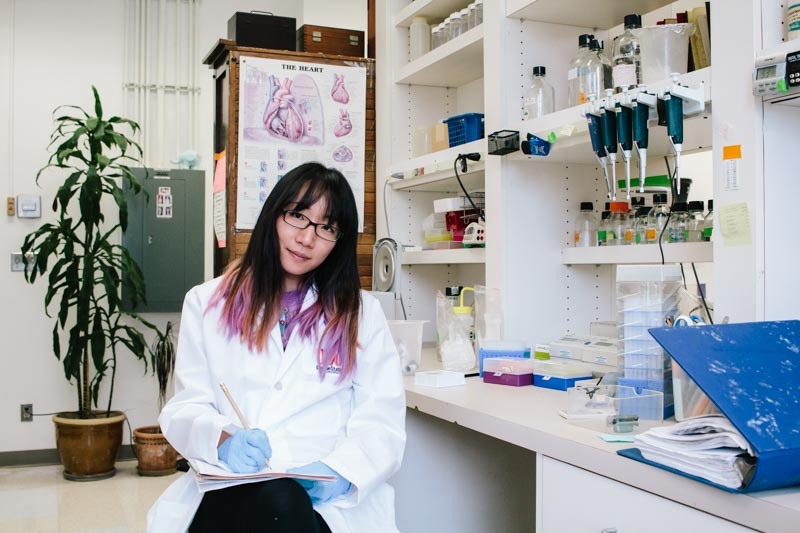 Chih-Ning “Vera” Chang is in the Molecular & Cellular Biology program with Dr. Chrissa Kioussi in the College of Pharmacy. Chang studies genetic defects in muscle development, focusing on relationships to juvenile diabetes. 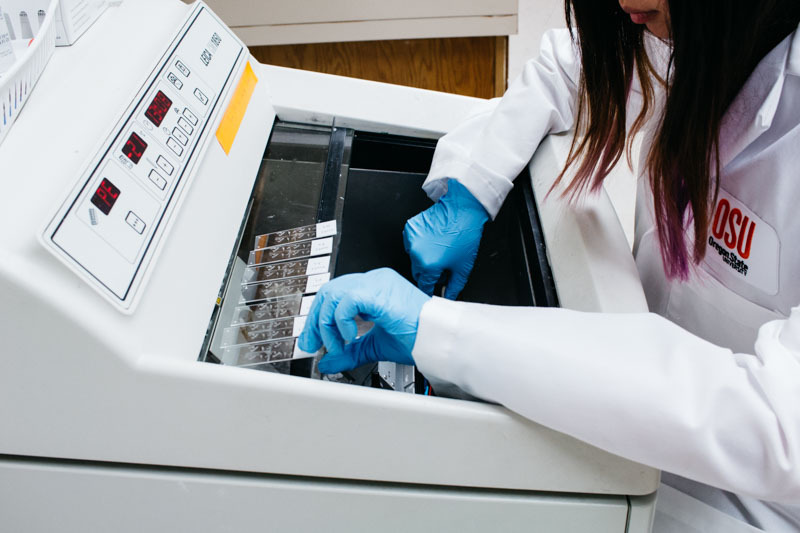 Examining the metabolites inside the muscle cell, Chang hopes to contribute to our understanding of diabetes and obesity at a cellular level. 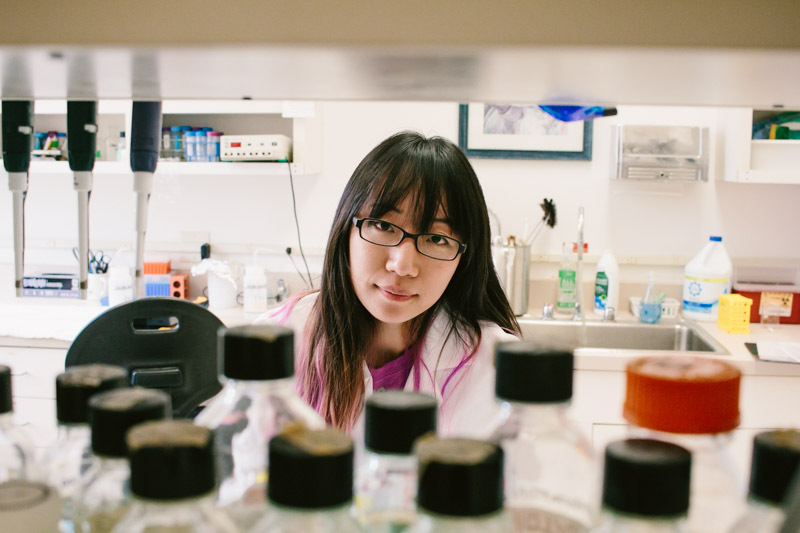 Before coming to OSU, Chang was raised in Taiwan where she studied entomology–the study of insects–during her undergraduate and received a Master's degree in Cancer Research. Her research on type 2 hepatitis during her Master's program in Taiwan led her to her current research in developmental biology at OSU. Aside from her interests in stem-cell and muscle development, Chang enjoys cooking a fusion of cuisines including American, Chinese, and Greek. Her recent creation was an eggplant chive with goat cheese. Chang had recently picked up knitting, producing hats and sweaters for her friends and two loving cats.